Today we officially announced being named on the list of 2016 Fastest Growing Companies by the Pittsburgh Business Times! Though we’ve been keeping mum about making the list, we never knew our ranking until last Thursday. We can now share with you that we ranked 60th on the list! “Our company has been on a sustainable and scalable growth pace for years because we continue to focus on our core competencies and aligning them to the demands inside the markets we compete. We are very disciplined in our approach and honored to be on this list,” explained Jeff Tapolci, CEO. One hundred companies were named on list of Fastest Growing Companies, honored for their revenue growth, at the Westin Convention Center hotel in downtown Pittsburgh the evening of August 18. Two of our portfolio companies were also named as award winners, VoIP Innovations at number 65, and InspiraFS at number 3. In 2016, we also ranked on the Inc. 5000’s Fastest Growing Companies in America. 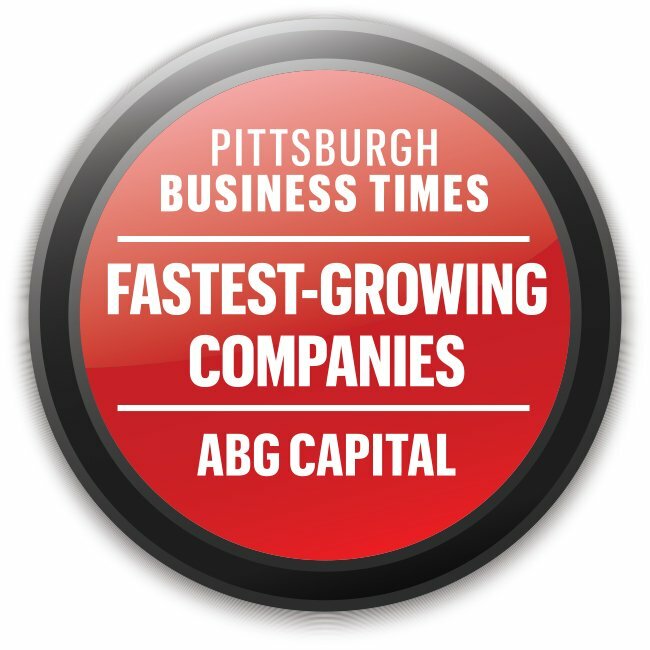 If you’d like more information on the 2016 Fastest Growing Companies and the full list of companies chosen, please visit the Pittsburgh Business Times. This entry was posted in Awards, Culture, small business and tagged Fastest Growing Companies, Pittsburgh Business Times by ABG Marketing. Bookmark the permalink.